Since the launch of the Wikipedia Loves Libraries campaign in 2011, New York cultural heritage institutions have embraced Wikipedia as a means to connect their patrons to the world, and the world to their collections. 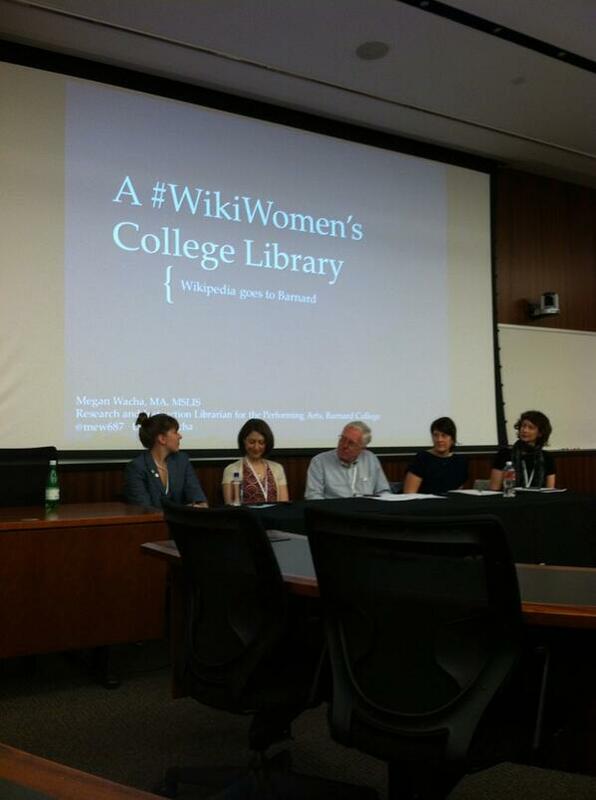 This panel will explore how different types of libraries engage with Wikipedia. Case study lightning talks will be presented by individuals engaging in Wikipedia projects in 4 areas of librarianship: the academic library, the public library, the private cultural library, and the museum library. Each case study will offer insight into the symbiotic relationship between reference materials, the institutions that provide access, and Wikipedia. Megan's fellow panelists were Natalie Milbrodt/Queens Memory Project, Marek Zielinski/Józef Piłsudski Institute of America and Ellen Prokop & Sharon Morelli/Frick Collection. The session was moderated by Dorothy Howard/Metropolitan New York Library Council.